A very sincere thank you to all 2018-2019 board members who's terms are ending as of the board meeting on Monday, April 15. Their time, dedication and contributions are significant and much appreciated! The 2019-2020 RAYHA Board (voting board members) will consist of: Mike Oscarson, Gretchen Hopeman, Andrew Knutson, Justin Brown, Winny Brown, Lissa Keeley, Ola Bildsten, Adam Maier, Andy Skoogman and Chelsey Rosenthal. If you're interesting in being on the board, there are positions still available. Come to the meeting on Monday, April 15 to check it out and join in! Below is the information for the boys and girls summer skating put on by the Roseville boys and girls high school coaches: Coach Adams and Coach Rosenthal. Please take a look at the hockey opportunities that they can offer at Roseville this summer. 12UB Black Won the D2 playoffs with a huge OT victory over the top seed Stillwater Black 3-2! They will be the #1 seed headed to Regions! Squirt B1 - Consolation Champions! Way to go! 8U Mite 1/2 jamboree that was on Sunday February 24th. Here are some photos of the black, white and silver teams (with misc other jerseys to split up the teams) on Feb 24th - a fun day for sure! Peewee C are the D2 Consolation Champions! Peewee C takes home D2 Consolation Championship! After loosing a heartbreaker to Stillwater 3-1 Friday these boys turned around and fought back to beat MVI Gold 5-0 and WBL Black 4-2. This capped off an amazing season! 15UA D2 CHAMPIONS! What a season!! 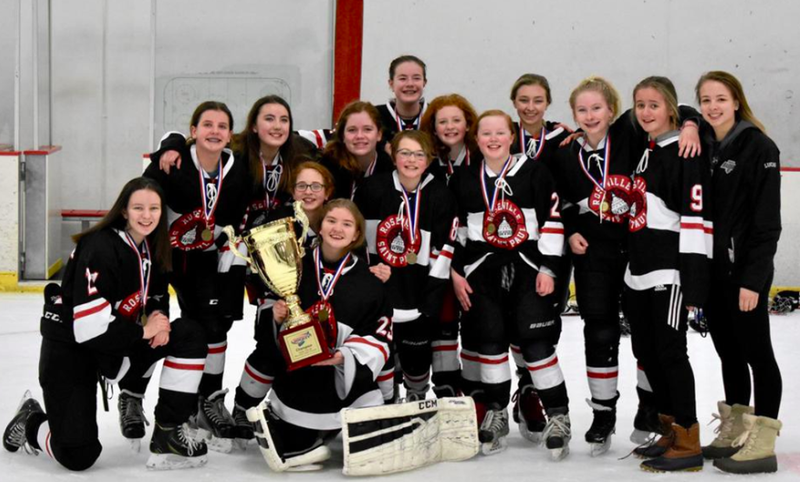 Squirt A made it to the D2 championship but lost to Mahtomedi (#1 team in the state). Great run boys - so proud of you!!! The Mite 4 Silver team had their first ever tournament sweep in New Richmond, WI on Sunday!! 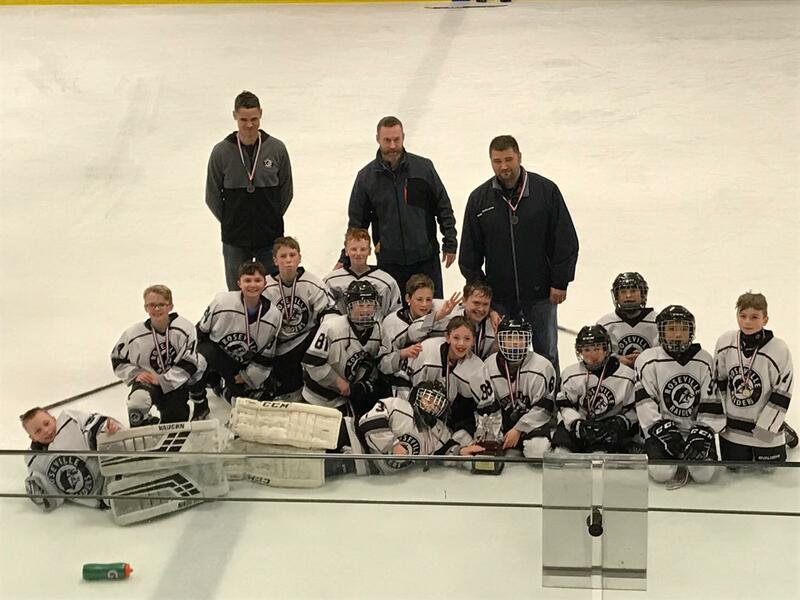 The purpose of Roseville Area Youth Hockey Association is to provide programs to teach, promote and compete in amateur youth ice hockey in a fun, healthy and educational environment for all participants. 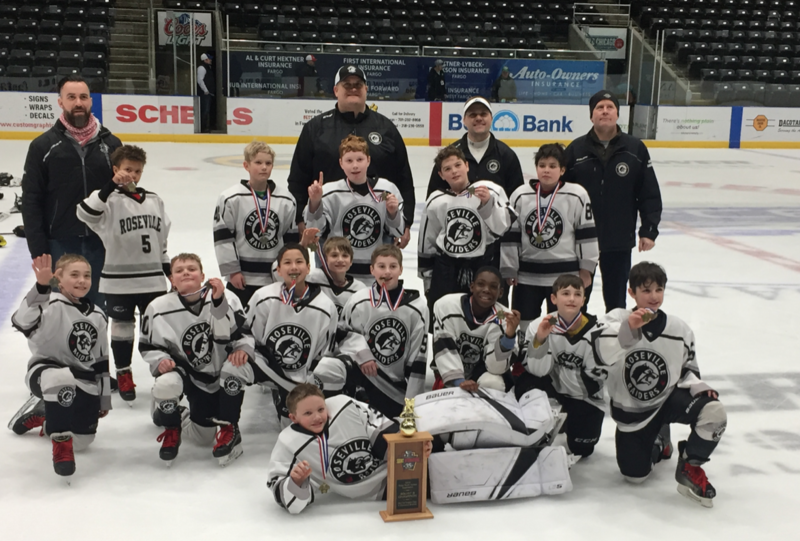 Roseville Area Youth Hockey Association strives to develop individual and team skills, teamwork, knowledge of the game, loyalty, responsibility and sportsmanship a positive youth sports culture, which teaches life lessons. The SPR 15B team took 3rd place this weekend in the Eden Prairie Tournament. This team is coached by Jordan Capeti - a former Roseville Raider! Way to go team! The C Squirts skate in Fargo and earn some hardware! Great job boys! Our Jr Gold team is made up of 22 players, 10 of who are Senior players, participating in their last year of RAYHA hockey. They are coached by Michael Hall and Casey Solomon. Their team Manager is Sarah Biros. The Jr Gold team has 4 games left in their season. We wish our Seniors the very best in all that they do! Sunday, Feb 10 at 4:15pm at Roseville - Senior Night Game !! Many of our senior players have played RAYHA hockey since they were mites. A very special thank you to their parents/families for driving these guys to countless practices and games throughout the years. Congratulations to each player. We wish you well in all you do and we hope to see you back at the rink either skating in the Alumni game, helping to coach our younger players or just up at the Oval for fun! Look at what's in the Star Tribune today! Looking to hit the rink? These spots are worth the chill of winter. Add a little cocoa and some twinkly lights, and the frigid fun of outdoor ice skating stirs up feelings of warm, winter nostalgia. At locations throughout the Twin Cities, this winter tradition is beloved by generations of hardy Minnesotans eager to embrace the cold. From an enchanting candlelit lake with panoramic views of snow-laden trees to an LED-lit ice loop that pipes in classic holiday music, here are our picks for the most festive and whimsical outdoor skating spots in the metro area. 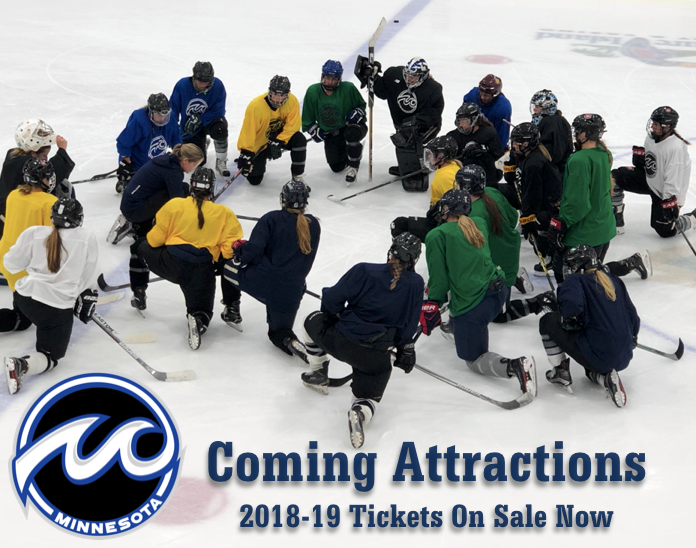 Don't miss your chance to see the Whitecaps in action at TRIA Rink during their inaugural NWHL season. The Whitecaps feature 2018 Team USA Olympic gold medalist Kendall Coyne Schofield, Hanna Brandt and Lee Stecklein, along with reigning NWHL Goaltender of the Year Amanda Leveille and may of the greatest players in the State of Hockey. The fun starts on Saturday, October 6 and Sunday October 7 against the defending Isobel Cup champion Riveters. With tickets starting at just $20, you won't want to miss it! 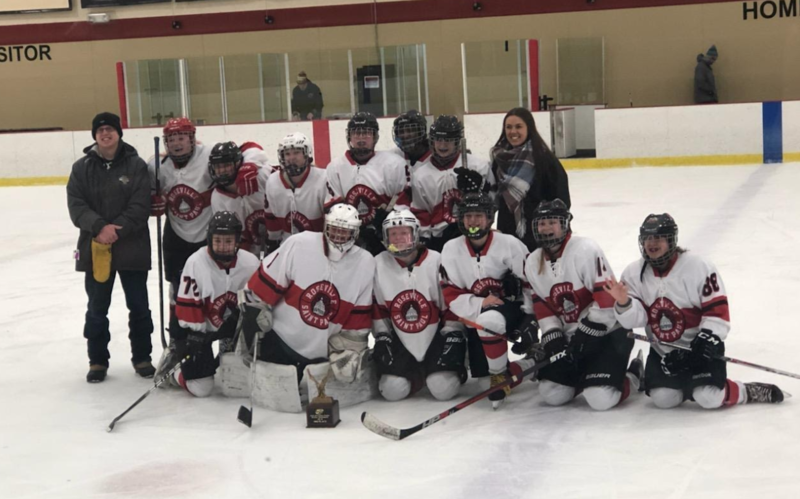 ©2019 Roseville Area Youth Hockey Association / SportsEngine. All Rights Reserved.